Do Open Badges Make ePortfolios Obsolete? No, but Open Badges have been disruptive… and I mean that in a good way. Open Badges can make ePortfolios better and vice-versa. So right now, I’m refactoring the CAPLA presentation for a college audience, bringing ePortfolios and RPL explicitly into the mix. This post is prep, but it’ll go into more detail. In addition to the RRC gig and an ongoing Mahara gig at Carleton University, I’m seeing signs of life in recent posts by senior leaders in Canadian HE, such as this one about “Learning outcomes for life” by Peter Wolf at Queen’s. 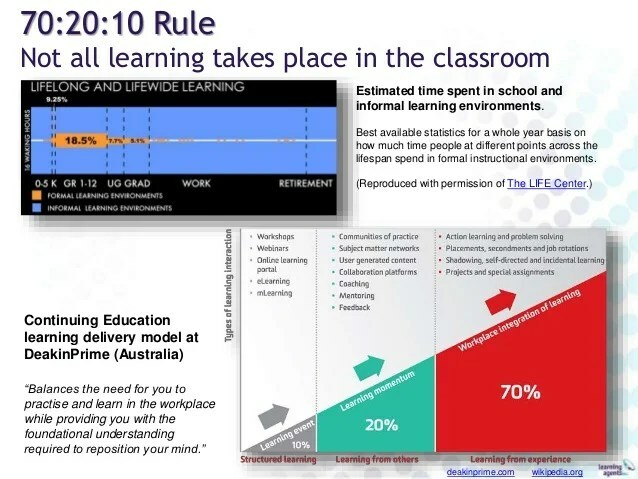 And earlier in 2015, Alan Davis, President of Kwantlen Polytechnic University, keynoted at a Carleton-organized ePortfolio summit on the need to document and validate the 90% of learning that happens outside the classroom (actual mileage may vary for the “70:20:10” ratio, but the principle is well-established). Certainly ePortfolios are enjoying a surge of adoption in the US, thanks in part to the tireless efforts of the Association for Authentic, Experiential and Evidence-Based Learning (AAEEBL) with support from AAC&U’s Liberal Education and America’s Promise (LEAP) initiative and their famous LEAP rubrics, which fueled Deakin University’s innovative GLO Hallmarks initiative. AAEEBL is currently chaired by Tracy Penny Light of Thompson Rivers University in BC. I wish more Canadian institutions belonged to this nonprofit organization that’s helping colleges and universities both improve and demonstrate the value of what they have to offer. Yikes, sounds dire. Something was obviously needed to come to the rescue. Enter Open Badges. 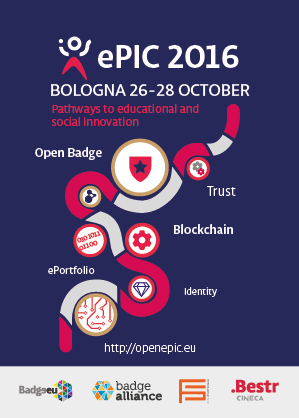 Since their introduction at ePortfolio and Identity Conference (ePIC) in 2012, Open Badges have put the fizz back into this important international gathering, similar to how adding fresh yeast rejuvenates a bottle-conditioned Belgian beer (yum). Here are some of those ideas, from a small selection of the community I learn from. Kate Coleman – Portfolios and Badges – friends or foes? Kate is pressing forward with these notions in her role at Deakin University (home of the GLO Hallmarks initiative mentioned above and DeakinDigital, which deserves a blog post all its own) and also as an international member of the Board at AAEEBL. Serge Ravet – Open Passport: Reinventing the ePortfolio from Open Badges? Serge Ravet of ADPIOS (better known as the impresario of the ever-evolving ePIC conference) is collaborating with Discendum Oy of Finland on a DML-funded project, based on a brilliant proposal. 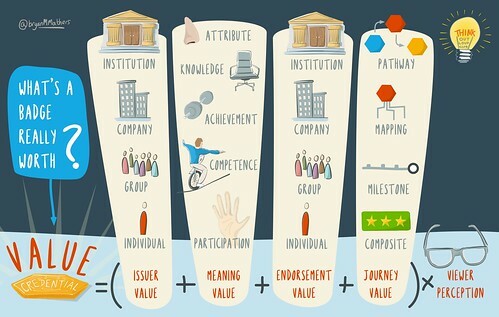 To explore this issue, one needs to understand that Open Badges are much more than “Digital records of achievements, skills, interests, affiliations or roles” (Mozilla); they are also connectors between people, places, organisations and ideas! 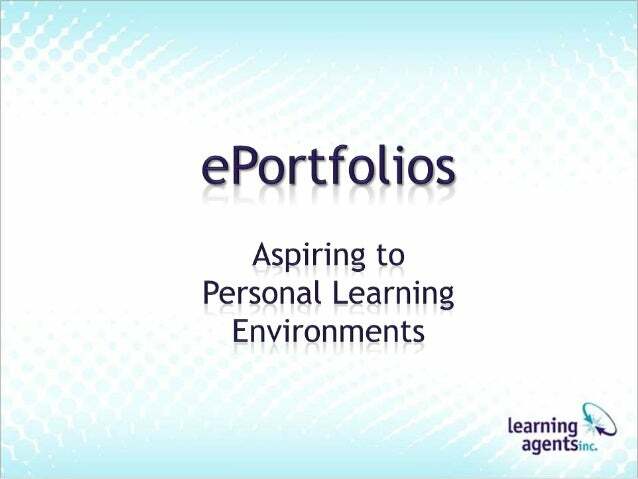 If digital badges are going to be evidence-based and transferable… the ePortfolio platform is best optimized to deliver that evidence and provide a logical space to showcase the badge. If we want to keep the eP EKG pulse alive and connect employers to ePortfolios that communicate specific competencies…. digital badges provide the motivation and opportunity for the students to make their learning visible. At Notre Dame, Alex is exploring relationships between Open Badges, ePortfolios and even Co-Curricular Records (I’ll be exploring CCRs in a future post). His presentation, linked above, is well worth reading and you can also read the Badge Alliance discussion from the August presentation. 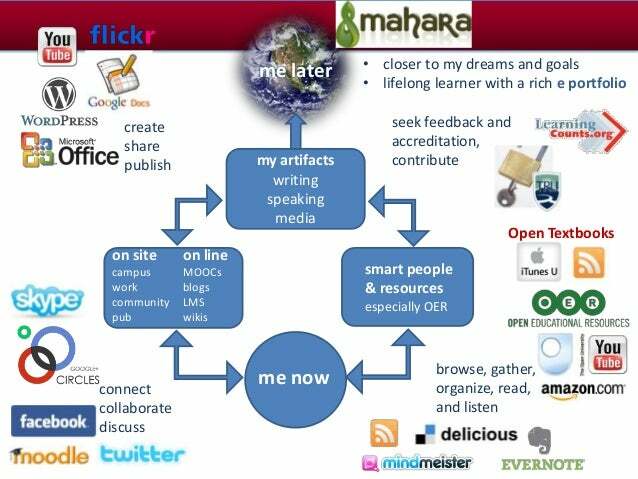 Reflection, direct and indirect evidence, curation, alignment to rhetorical purpose or aspirational goal – ePortfolios can authentically demonstrate a lot of things, and Open Badges can recognize them. This is one of the reasons I’m a bit nervous about blockchains. I think we have a long *social awareness* row to hoe, and we should be thinking more about that. For example, we need to convince people why “Open” is important and how LinkedIn is not enough, otherwise they’re just going to take the easy route being offered by some digital badge providers and end up locked inside gated online communities. 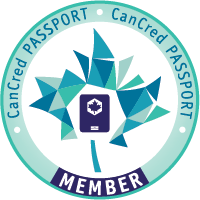 I expect lots more from Open Badge Passport in 2016. AND its Canadian equivalent, TBA soon. Another long post…ack! My goal is to get these under 1000 words. This blog post and another from Serge Ravet on his blog provided the agenda for the Jan 20, 2016 Community Call of the Badge Alliance. See below the presentation I threw together for that meeting. Here’s the Etherpad record.